If you dream of traveling to Big Sur, but don’t want to load the mileage on your car, here’s your consolation prize: a local getaway to sweeping ocean vistas, towering craggy cliffs, and churning teal seas via a six-mile round trip from the top of Palos Verdes’ Portuguese Bend Reserve to sea level at Sacred Cove. 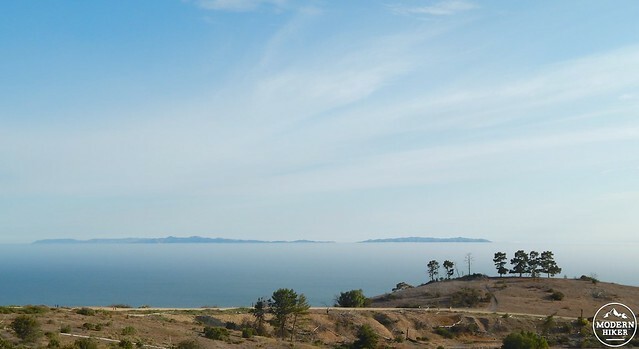 Visible from high points across the Los Angeles basin and nearby mountains, the Palos Verdes peninsula juts out in an unmistakable hump from the otherwise flat shoreline. Perhaps best known for its multitude of affluent communities and Lloyd’ Wright’s serene Wayfarers Chapel, it might not be the first place that comes to mind when you think of hitting the trail, but if you love ocean views and wild waves, make your way to the very end of Crenshaw Boulevard, park at Del Cerro Park or in the neighborhood, and lace up your boots – you’re about to step away from manicured lawns and into something a bit more rugged and wild. Start your adventure by skirting a gate at the end of Crenshaw, heading southwest on a wide dirt track (Burma Road) that was once a planned extension of the boulevard. As you’ll quickly notice, you’re perched on an undulating slope crossed with a latticework of trails housing not just hikers, but also bikers and people on horseback. In the wetter months, the hillside is grassy and vibrant, studded with wildflowers – but even if you come in the drier, more beige months, it’s still fascinating to people-watch as you move through the coastal scrub. When you’re done looking down at the network of trails, shift your gaze up and out to the Pacific Ocean, where you’ll see Catalina Island’s twin masses floating on the blue horizon. Since the first part of the trail meanders through some not-always-stimulating scenery, let this be your beacon of inspiration as you make your way down in elevation. At just over half a mile, you’ll hang a right onto the Peacock Flats Trail, a shortcut that rejoins Burma Road a few minutes downhill. Once you hit this section, you’ll lose your ocean views for a bit, so focus on keeping an eye out for signs of the abundant wildlife that call the Reserve home. 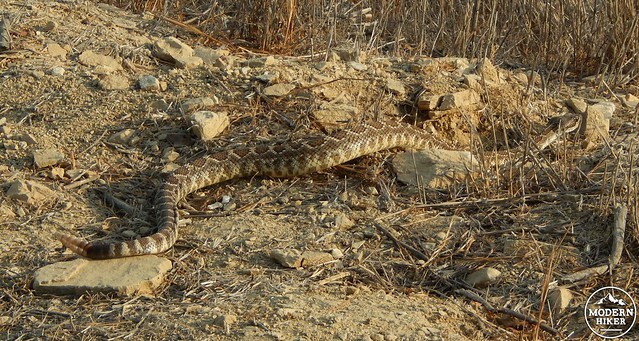 The day we hiked, I spied several cottontail rabbits, a small army of western fence lizards, and one very lackadaisical rattlesnake. One of the cool things about this area is that it’s a bit of a choose-your-own-adventure experience – while the trails are well-signed (look for a brown metal stick at intersections), you don’t need to worry if you stray from your intended path (like we did) – as long as you’re headed down and slightly away from the cliffs to your left, you’re going to end up at the ocean. 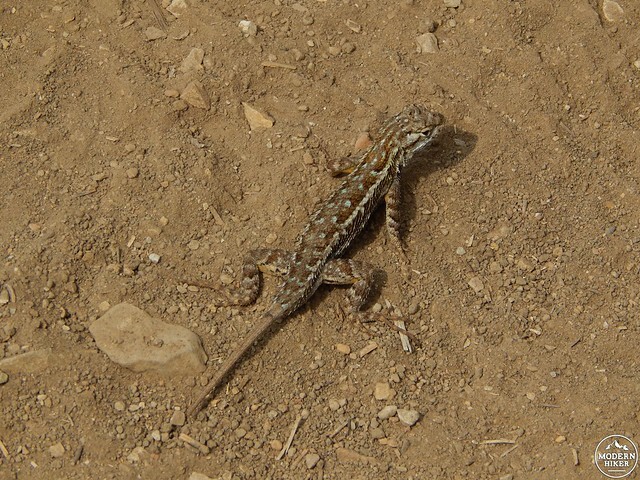 That said, to do the hike as described, you’ll want to stay on Burma Road as it curves past the Kelvin Canyon, Ailor, Eagle’s Nest, and Water Tank trails and pick up the Toyon Trail at about 1.5 miles. From here, it’s a quick right on the Garden Trail, a quick left on the Water Tank Trail on the edge of “civilization,” and another quick left onto the Vanderlip Trail, which keeps you tucked inside the Reserve. 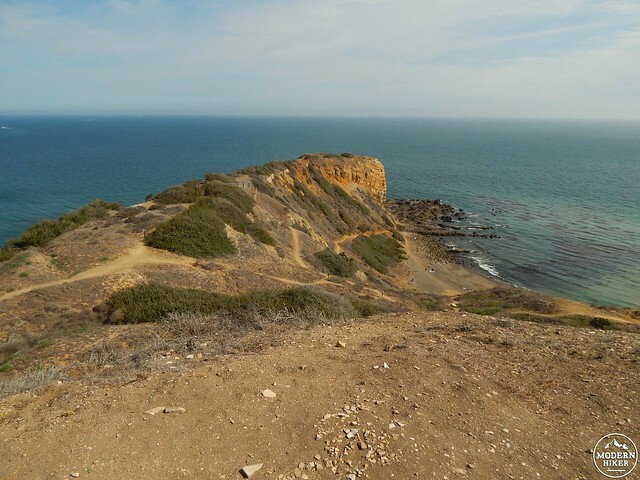 From this vantage point, you can now look up the slope you just descended and see physical proof of the claim that the Portuguese Bend area of Palos Verdes is one of the most geologically unstable areas in Southern California. 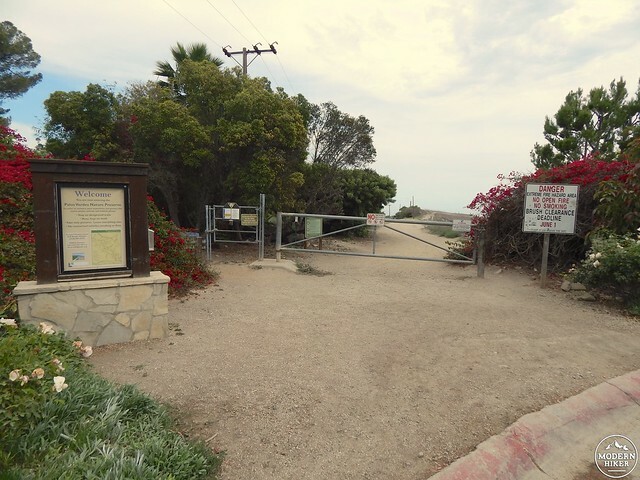 Huge swaths of hillside lay denuded by the ground’s constant sliding – this area of the peninsula shifts several feet per year, a big enough difference that the section of Palos Verdes Drive you’ll soon cross is repaired weekly! At about 2 miles, you’ll hang a right on the Peppertree Trail, followed by an immediate right onto Ishibashi Farm Trail. 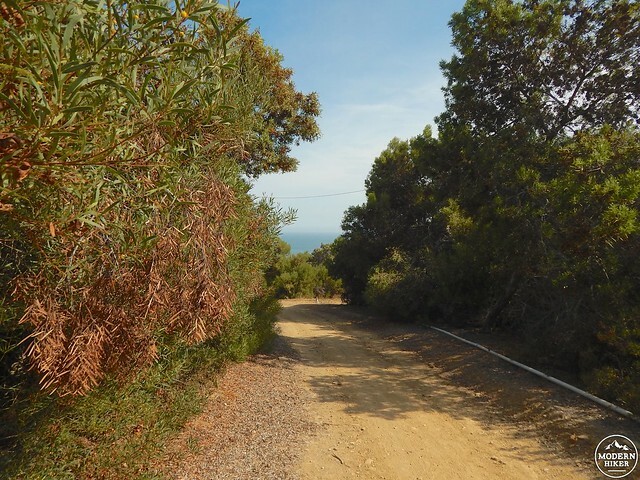 Continue through this surprisingly lush area, passing straight through an unmarked intersection, and you’ll pop out at Palos Verdes Drive at about 2.6 miles. 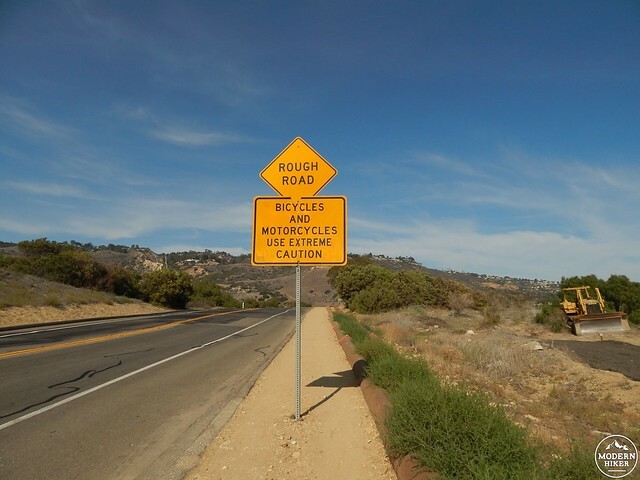 There is no light, no crosswalk, and no stop sign here – so be very, very, very careful as you cross to a somewhat unappealing dirt path on the ocean side of the road. Make sure you look back at the trail you just exited, so you know where to re-enter on your way back through the Reserve; once that’s committed to memory, head right to walk west alongside a set of pipes (aboveground because of that whole “constantly shifting land” situation), enjoying the ever-expanding coastal views. You’ll pass a sign for the South Bay Archery Club and at just over 3 miles, you’ll reach the first entry point for the Sacred Cove Trail. Here you’ll be able to walk straight out onto Inspiration Point, a rather…ok, I’ll say it…inspirational bluff that forms the eastern border of Sacred Cove. The views are pretty incredible, especially on a clear day when the water shimmers a deep teal blue, and if you squint across the shoreline, it almost feels like you’re perched atop a tropical island. When you’ve had your fill from above, retrace your steps to an intersection you passed on the way up, hanging a left, then another quick left to descend to the beach below via the Cliffside Trail. 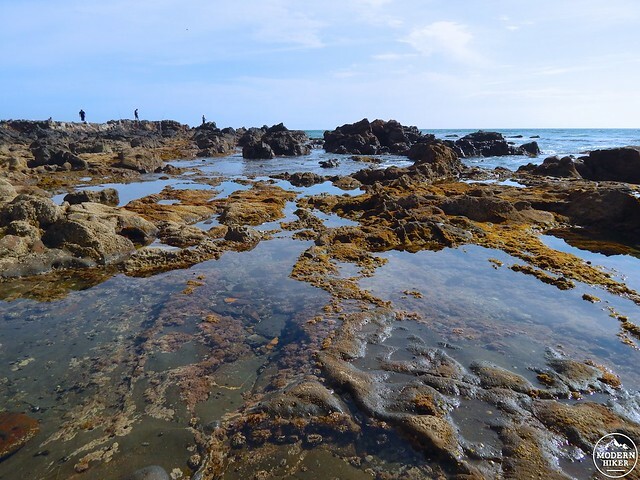 Aim to arrive here at low tide – not only is this the time when the tidepools and sea caves are most visible, but it’s also the safest time to explore at sea level. The area is home to incredibly rough waters and has seen an absolutely unbelievable number of rescues – and sadly, one death – this summer alone. Safety warnings aside, this is a beautiful, rugged part of the coast that calls to mind areas like Big Sur and Carmel’s Point Lobos State Reserve – you’ll likely feel miles away from the urban sprawl. 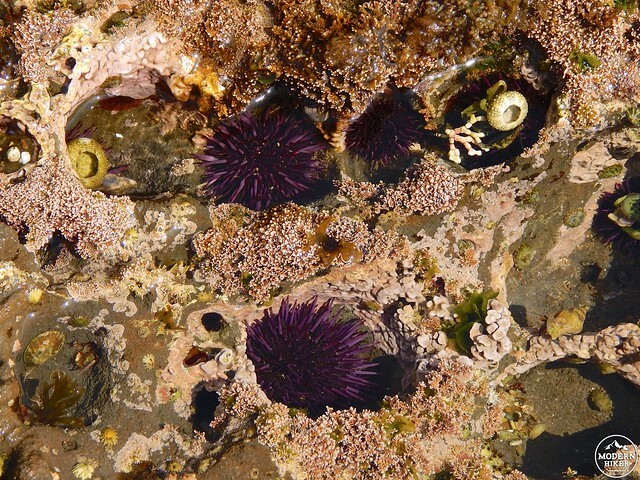 While seagulls swoop overhead, carefully pick your way around the exposed tidepools, marveling at their colorful inhabitants – we saw tons of sea anemone, mussels, tiny fish, and sea urchins. When you’re finished exploring, head back the way you came, sweating your way back up to the top of the Reserve – it’s all uphill from here (and will feel even steeper on a hot day), but as long as you have plenty of water and glance over your shoulder from time to time at those marvelous views, it’s worth every step. Wear gaiters – unless it’s been tamped down by precipitation, the trail can be pretty dusty until you get to the cove. Bring plenty of water – despite the ocean views, there’s no drinking water available on this hike. There is one bathroom available – a porta-potty near the trailhead; plan accordingly! Make sure you have gas in the tank – all of that elevation gain happens on the return portion of your trip. Do not enter the water at Sacred Cove – the powerful surf is incredibly dangerous. If you want to swim, head to nearby Rancho Palos Verdes Beach where there’s a lifeguard on duty in the summer months. Check tide tables here before starting your trip. Consider taking transit to avoid parking headaches. Take the Palos Verdes Peninsula Transit Authority’s 225 bus south, exiting on Crest Road & Crenshaw Boulevard. From here, it’s about a half-mile walk south on Crenshaw to the trailhead. Good – the trail is well-signed and well maintained despite the constantly shifting landscape, although it can get pretty dusty. 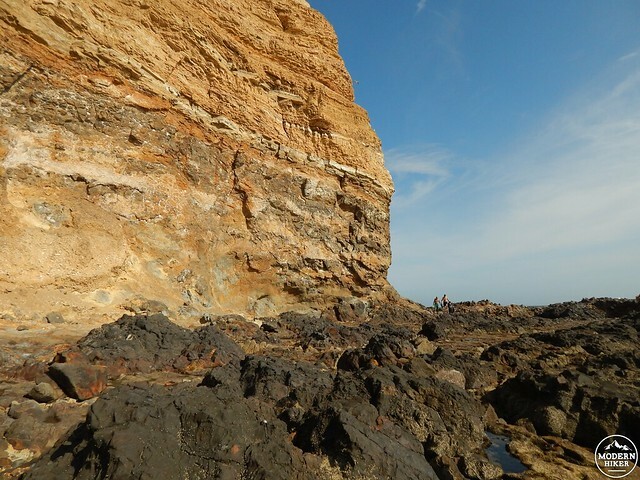 If going all the way to Sacred Cove, check tide tables and aim to be there during low tide. Sorry to say hike up from Terranea is great, but avoid trying shortcuts. Just turn around and return on the path up called out by Google Maps. There is no "middle passage" down toward Terranea (north west). 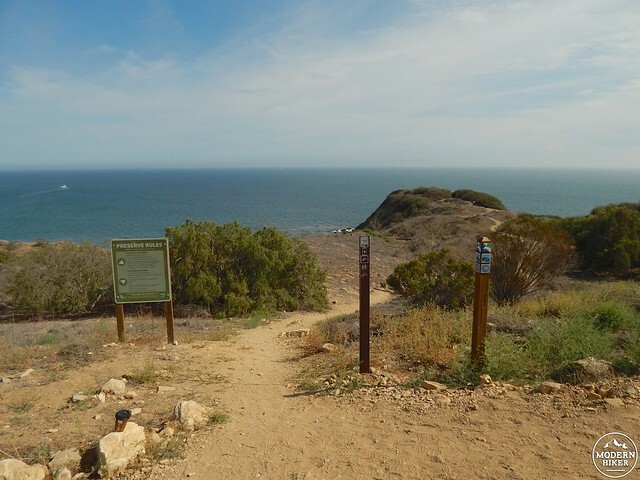 Below the rim, all trails end up at Forrestal Trailhead (south east) which is a long road walk from Terranea (say 1.5 miles). So, stay on the rim and retrace route is shortest way down. Hike today was 1 hour longer than expected, since searched for middle passage (say 500 feet above sea level) is not there yet. Would like to see City provide a sign or 2 pointing out shortest way down to Terranea/NW and shortest way out to Forrestal/SW. Rather than call a trail Jack's Hat Trail or Pony Trail, might call it loop with no outlet to NW. Or just build an outlet to NW. The gap to Barkentine, which gives an outlet to NW, looks like about 1/4 mile. Thankfully, weather was mild and there was plenty of water, so extra 1 hour did no harm. Park at the top of Crenshaw, as the story indicates. Proceed down the main trail until you get to a water tank on your left (it's shown on the map in the story). At that junction, make a left and proceed uphill on Firehouse Trail until you get to Crest Road. Make a left on Crest Road and walk a couple of hundred feet. You'll see a wide horse trail on your right. Go down that trail and you're into the best trails on PV. 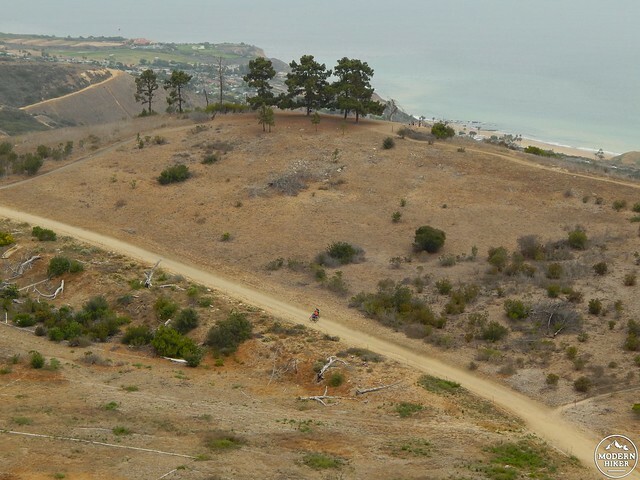 You can follow those trails all over PV, through gorgeous canyons, challenging uphill trails, etc. Most fun I've ever had hiking, getting to know that peninsula that way. I did this hike in early 2014 on a Sunday after rain and it was a very good hike , very beautiful and peaceful. You have to make it to the parking lot before 4 pm, but you don't have to leave till dusk or so. 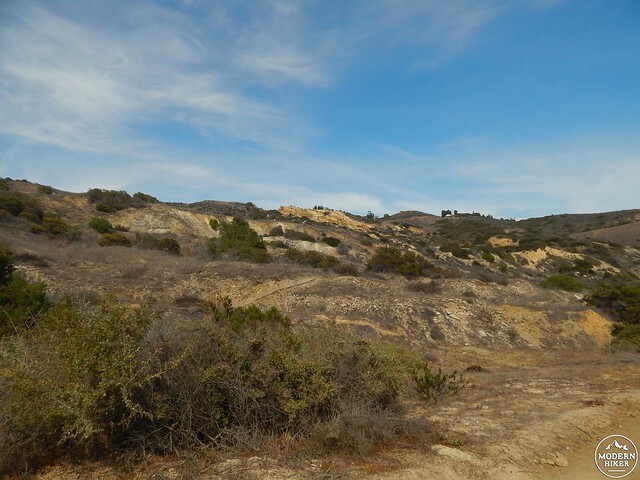 Did this hike yesterday on a gorgeous SoCal January afternoon with a temp of around 80. How we suffer. Beautiful views of Catalina the whole way and lots of interesting side trails to explore. The archery club at the bottom is a cool place to visit, glad I'm not an elk. I think we ended up on the wrong side of the bluff at the water however. But still a nice little protected area though unfortunately not timed for low tide. Plenty of folk out there... maybe they all ended up in the right spot! A great hike, easy to get to and plenty of parking even on a crowded Sunday. The dog thoroughly enjoyed herself as well. Do bear in mind that it's downhill all the way and then you gotta climb back up. My gf's Fitbit recorded rather more than 6 miles on this, probably closer to 7. Maybe it was the side trails. It might be something with your phone - I was able to get the tide link working on both desktop and mobile browsers. Maybe try from a computer? Hello! I'm looking forward to trying this hike out and become more familiar with thi beautiful area. I'm not sure if something is wrong with the link or my phone, but it doesn't seem like the link to view tide tables works for me. Great write-up! I wanted to hike here several years ago, but I found very little to make me feel confident that I'd even be able to find the place. I'll come here sooner or later, and I'm glad I'll have a solid guide. Thanks! Thanks for the kind words & great intel! I actually meant to mention the Abalone Cove parking option and it slipped my mind - glad you added that in there (note to readers: this parking lot closes at 4pm, so if you choose that option, plan accordingly!) Also great to know about the porta-potty - I didn't notice it, but that's probably because we went down the eastern side of the cove.